Carbon Monoxide (CO) is an extremely hazardous colourless, odourless, and tasteless gas that can lead to potentially fatal pilot incapacitation even in small quantities. Deadly Carbon Monoxide (CO) is produced wherever fossil fuel (such as gasoline, kerosene, diesel, natural gas, and propane) is combusted without sufficient oxygen. Powered aircraft are only sometimes fitted with a CO detector, but more often than not they lack a replacement date. This is extremely dangerous as most commercially available CO detectors lose their protective function after a period of about 12 month! 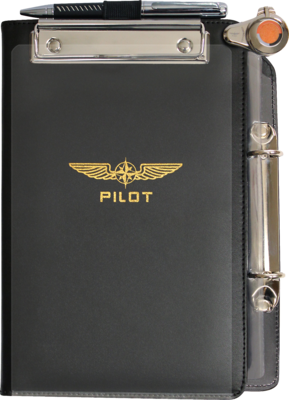 Due to exactly this reason, we have developed a personal PILOT CONTROLLER KIT® for the safety-conscious pilot. This kit can be easily fixed to all our kneeboards featuring a stopwatch fixture. 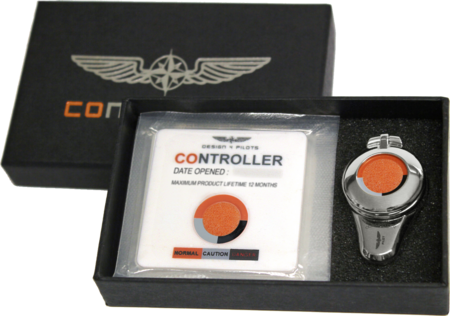 This simple and precise control in form of the PILOT CONTROLLER KIT® stands out from the rest and makes it an indispensable companion for flying safely.